Hellenium intends to become the Amazon of service provision. Hellenium is a ground-breaking project that will offer businesses reduced cost AI-powered service provision automations using a PaaS model. These automations intend to replace their existing costly end to end processes that are based on manual labour and hardware and will be delivered through a platform using APIs. In the heart of the process is an AI based mechanism that allows the creation of highly secure transaction-free environments eliminating all perceived weaknesses of trading with cryptocurrencies, while retaining all their advantages. We are building a new Blockchain based platform based on Ethereum that will utilise AI, Smart Contracts and APIs to deliver B2B2..B2C process outsourcing services at a fraction of the incumbent’s cost. The resulting economies of scale that can reach up to 65% are expected to result in a significant reduction of service provision prices to consumers that can reach 50%. Example: You hop on a bus and you hop off. That is all. No tickets, no cards, no sensors, no hardware no “automations”. We monitor your Space-Time Occupation of a medium and we debit you e-wallet. We reduce 103 process steps to 4. Do the maths. It is a spinoff of an existing FINTECH and INSURTECH that operates an existing Blockchain (https://memeplex.es) and works with AI from 2013. The same team will build the new project. It will be only one to implement a holistic investment risk management and price growth strategy. 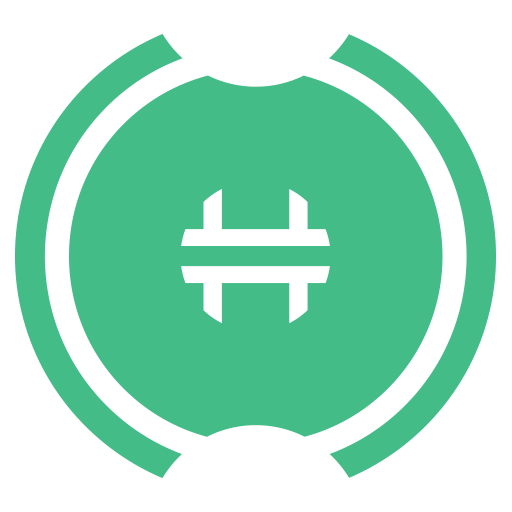 Its token (HLN) will represent actual equity in the business to enable store of value. It will utilise existing and tested ecosystem management techno-methodologies and FINTECH tools for HLN to become the preferred medium of exchange within the ecosystem. Finally, we set aside 8.75% of all tokens to be able to control price fluctuation, growth and the negative influence of Bitcoin. The first group of services related to mobility under the code name of Roadebit are already designed and will be implemented immediately. Finally, Hellenium can accommodate subsequent ICOs by design that can be utilised even by third parties. Two such proposal are already on the table as four more groups of services that represent a breakthrough each one on its own right. These projects will utilise proportionally the remaining tokens that will not be put in circulation with the first ICO. Hellenium is the expansion of an actual successful FINTECH and INSURTECH business the purpose of which is to offer solutions to actual societal and business needs in a way that balances perfectly the needs of both groups (socioeconomics). Furthermore, the team behind the project has under its belt together or individually over ten successful businesses so far, over 100 years of accumulated experience in over 21 countries backed up by equally impressive academic qualifications. It will after the pre-ICO phase is complete. We will keep investments is an escrow account until then. We cannot disclose details on ongoing deals until they are signed. However, we can say that the project has attracted the attention of several business consortiums. Hellenium will be a platform and a marketplace like Amazon but dedicated to service provision. Consequently we are trying to attract consumers and service provision businesses in equal measure across the globe. Your business should be based on actual social needs. Learn from those before you. If you do not have answers to the problems they encountered do not launch. Build a fully-blown business plan not a technology whitepaper. We are together with most of the team for over 4.5 years. We are really good at what we are doing and we have lots of experience. We share the same social sensitivities (to a degree) and we have a good balance of thinkers and doers. We are a multinational and multi discipline team. None of us has less than 2 degrees and all of us have Masters and above. You believe it or not we have a 10 years plan. Even if no third party ICOs will be launched we already plan 4 successors to Roadebit. They address diverse critical societal challenges for which we have already the solutions like the pensions deficit, student loans, the eradication of late and non-payments that trouble SMEs, rationalisation of indirect taxation etc. I do not attach sentimental value to technologies. I see technology as a means to an end, as social enzymes that can cause institutions to mutate. As such my favourite has not been invented yet. It will be a social impact calculator for government policies. I am working on it in my spare time. It does not need to be a physical one. An AI that can design AIs a meta-Knuth if you wish will suffice. What I can promise you as the leader of this team is that we will always undertake projects that will have a positive social impact. I believe that socioeconomy should be in the mind of every leader that creates crypto assets. If we end up in the same path that fiat currencies has driven us it is better to stop now. Previous ArticleStartUp Ballymun presents BOOST YOUR BUSINESS!